In its search for the highest-quality fish and invertebrates, Maidenhead Aquatics uses suppliers from all over the world, with one of its most trusted suppliers based in Kenya. Understanding the need to give back to these communities, the company has been supporting a project to improve education for the children there. Close to its supplier’s facility lies the village of Vipingo — home to many of the fishermen who collect the fish that find a home in your aquarium and to the fish house staff who care for and pack them. 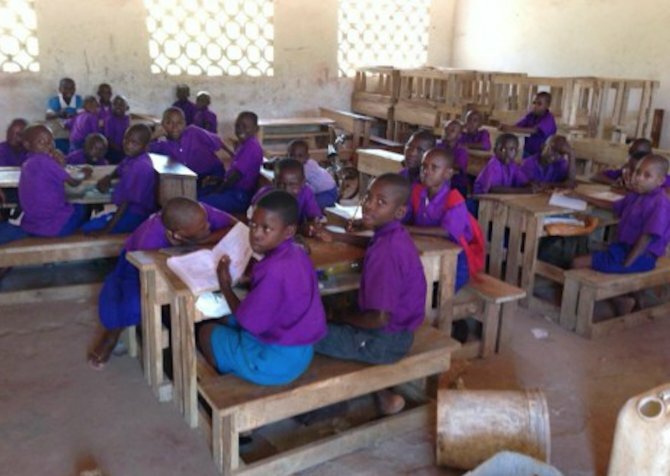 The children of Vipingo are keen to learn and gain a proper education, but suffer from an acute lack of facilities, often being forced to study while sitting on the muddy floor of their makeshift 'classroom'. The supplier has personally funded and organised the construction of an extension to the school, helping to enable more children from the village to gain an education. Maidenhead Aquatics has proudly supplied much needed school equipment in an effort to make the learning progress a little easier for the children. The UK-based aquatic retailer endeavours to go beyond the everyday buying and selling of aquatic products, by using its knowledge and facilities to contribute something back to the fishkeeping hobby and to the communities that support it. Did you know that you can now buy the latest issue of Practical Fishkeeping online and have it delivered to your door the next day — and you don't even have to pay the postage charge!